We present an extensive range of Roto PrintedMattress Fabric. We are leading Suppliers of the excellent array of mattress fabric. We are backed with industry-experienced designers and experienced team; they ensure that the fabric is designed only under the supervision of experienced designers. 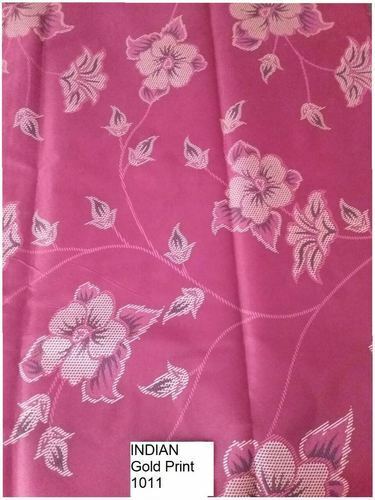 The Fabric is used for making mattress covers and is highly appreciated amidst the customers. Incepted in the year of 2011, We, Alok Packaging Pvt. Ltd. are a reliable organization, affianced in manufacturing and importing of an inclusive variety of Mattress Fabric, PVC Sheet, Methyl Tin Stabilizer, Printed Table Cover, PVC Film, Quilt Fabric, Mattress Lamination Sheet, PVC Flexible Tube, Shrink Tube, Latex Sheet and many more. As a purchaser-centric venture, we practice principled profitable ideologies to accomplish patron satisfaction. The accessible product collection is tremendously renowned for features such as proper structure and high effectiveness.